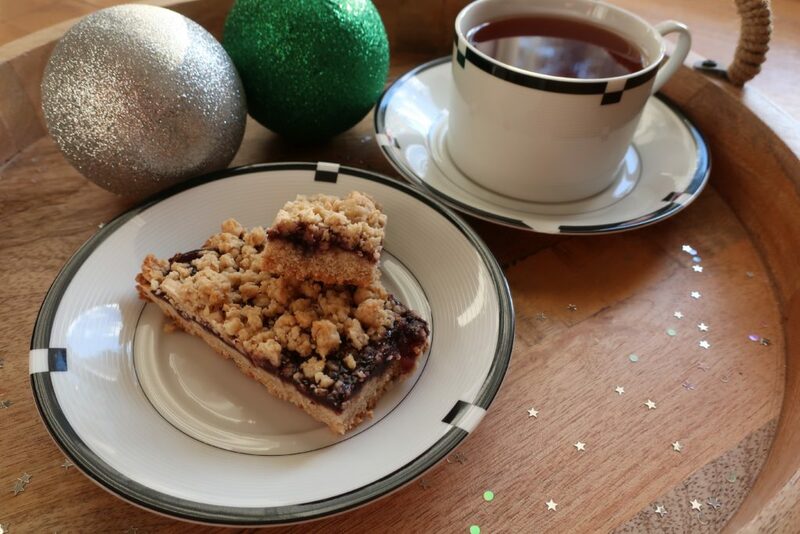 Every year for Christmas I bake a delicious oatmeal cake that I cut up and give away as presents for my friends and neighbors. 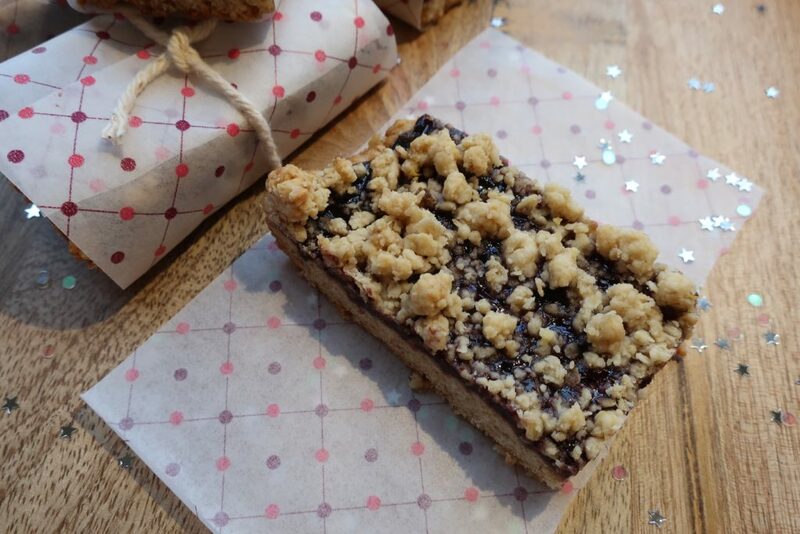 This year I got inspired by “Better Homes and Gardens” holiday recipe and made these healthy oatmeal blackberry jam bars. 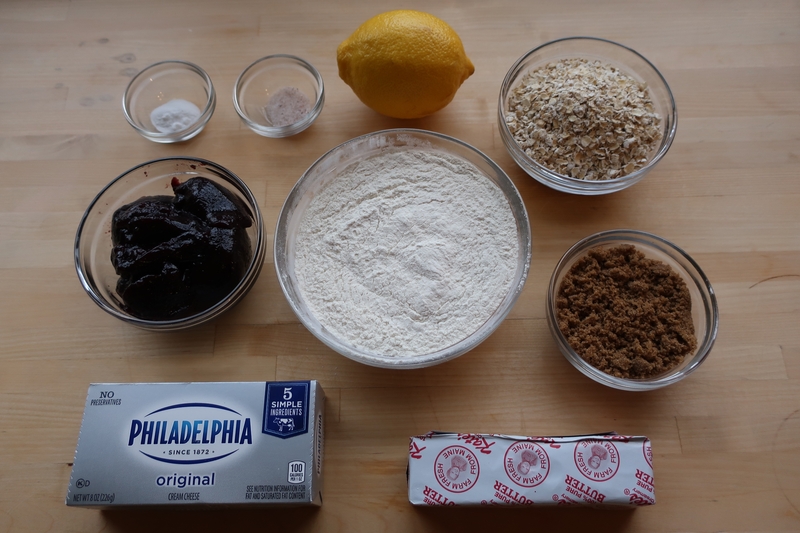 In a medium bowl mix flour with salt, baking soda, brown sugar, zest from the lemon (about 1 spoon) and the oats. 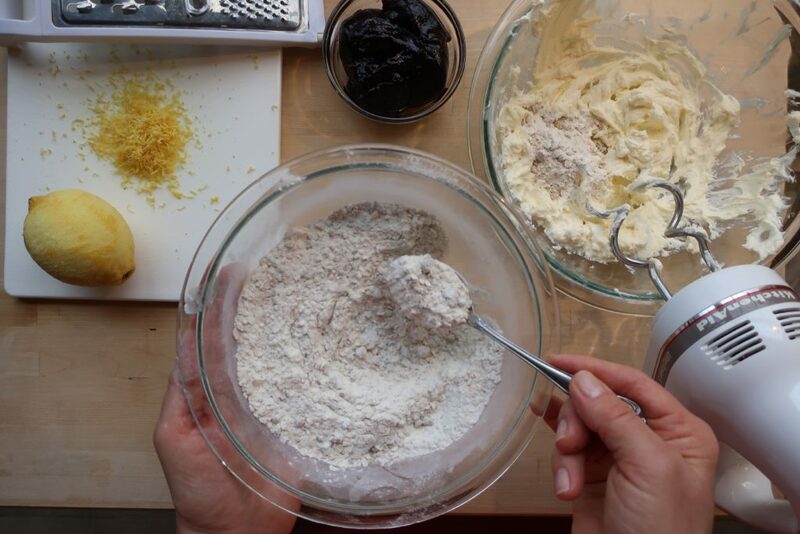 In a large bowl beat cream cheese and butter until soft (about 1 minute). 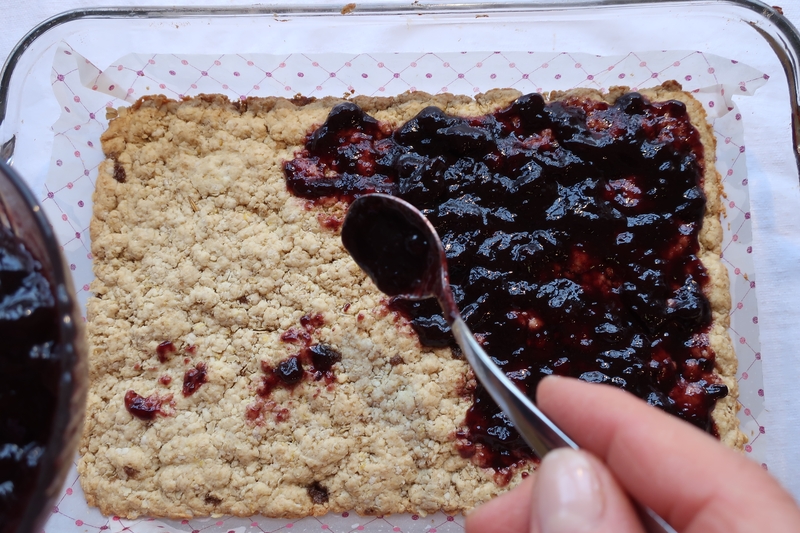 Add the flour mixture and beat until you make the crumble. 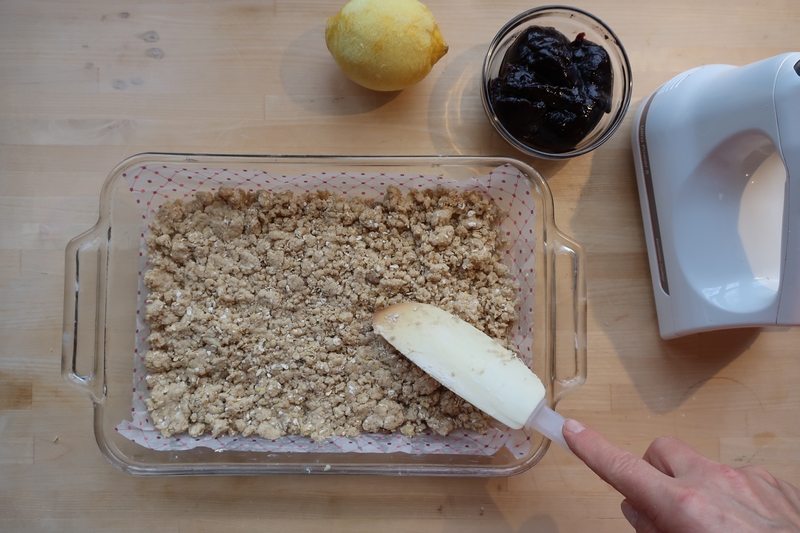 Remove 1 cup of the mixture crumble and put in the freezer and the remaining crumble press into the bottom of the pan (I used glass pan 8 x 12 inches) and bake for 20 minutes in 350F. 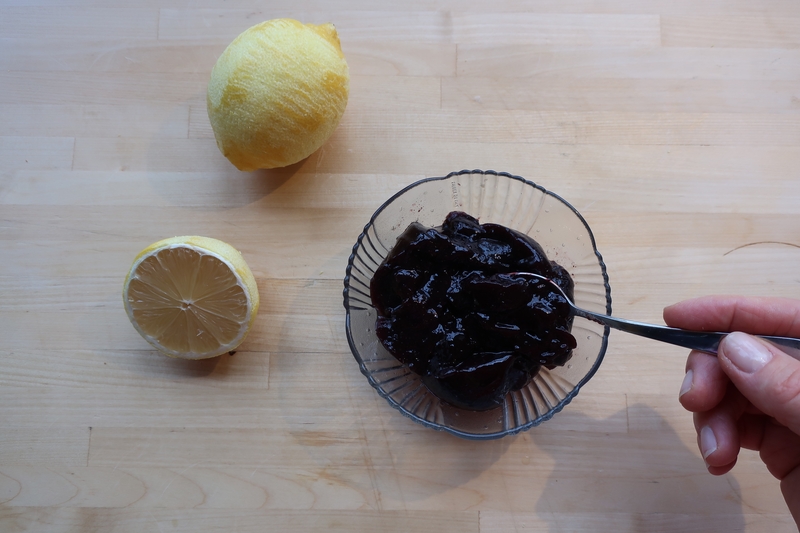 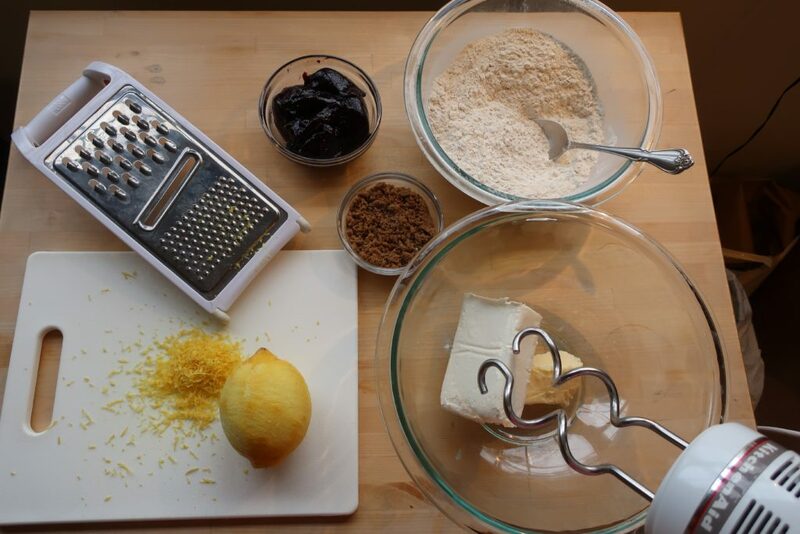 Meanwhile, in a small bowl combine blackberry jam with 1 spoon of lemon juice. Remove the crust from the oven and carefully spread jam over the hot cake. 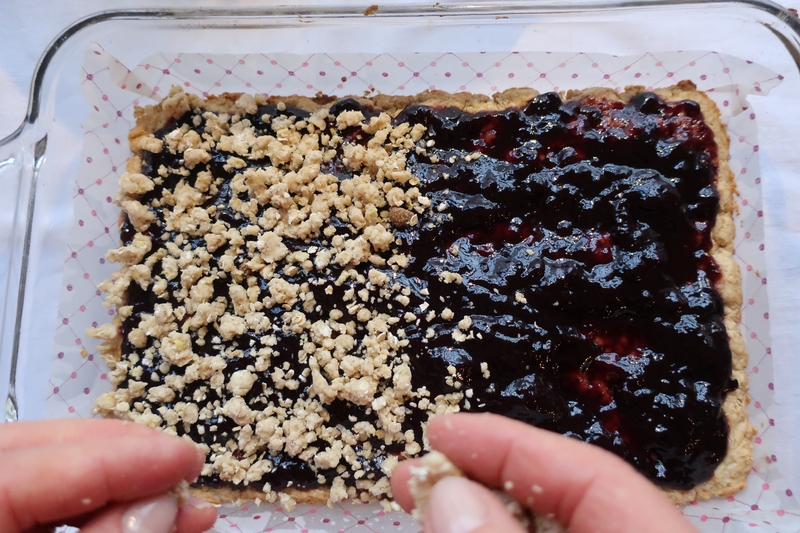 Sprinkle the top with the remaining frozen crumble and bake for another 15 minutes till the top is golden. 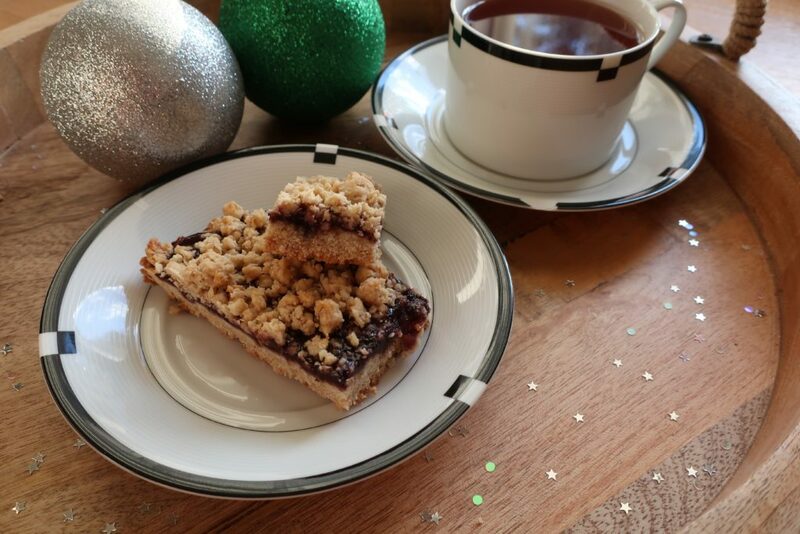 Serve as your favorite dessert for the holidays.